We moved into our house nearly 10 years ago and we had shutters from another company for all of our windows on the main floor. We finally decided to convert all of our drapery on second floor to shutters because we like shutters more but not very happy with the product from the last company. 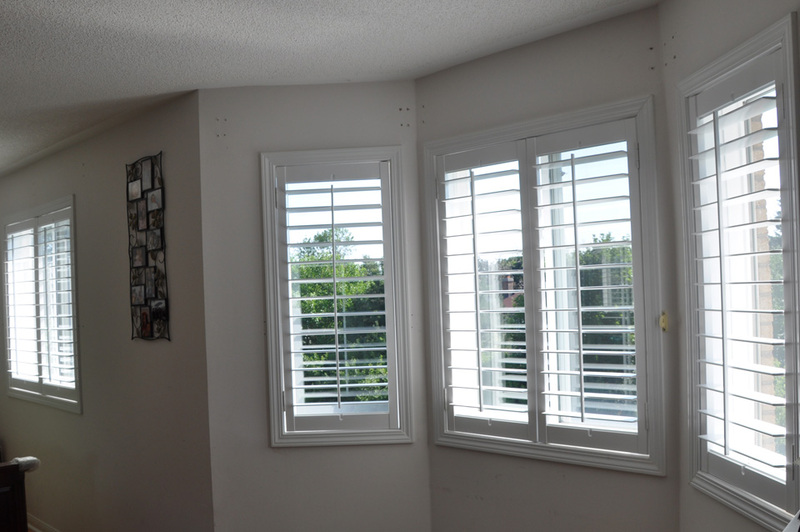 We went to this new company called Premium Custom Shutters on Dixie & 401 two weekends ago without an appointment with all of our window measurements because I would like to install it myself to save. We were greeted with smiles and a very friendly group of workers. They walked us through the display area and explained the differences between the California and Plantation shutters, the size of the louvers, and the type of hinges. We gave them our window measurements and they had a quote ready for us in about 15 minutes. Once we sat down with Ken to discuss the quote he offered us some bottled water to drink and a binder with pictures of their work to look at. We then started discussing when they would be able to come to the house to make sure the measurements were correct - and he said he had the afternoon free - which worked well for us. They seem to be all about the customers - as they said that they will work around our schedule to do the measurements and the installation. They had installation dates available on the 18th of July which would have been only 6 business days after our order, but they said they would be ready. On the installation date, our appointment was 12pm and the two installers were on time. They quickly brought all the shutters into the house and began installation. They were quick and efficient; all 14 windows were installed in about 2 hours. They cleaned up after themselves and showed us how to open and close the folding shutters (as to not bang any of the louvers). All in all - customer service and price wise - I highly recommend Premium Custom Shutters for anyone interested in getting wood shutters. If anyone is going to be looking into shutters for their home, make sure to keep Premium Custom Shutters on your list.